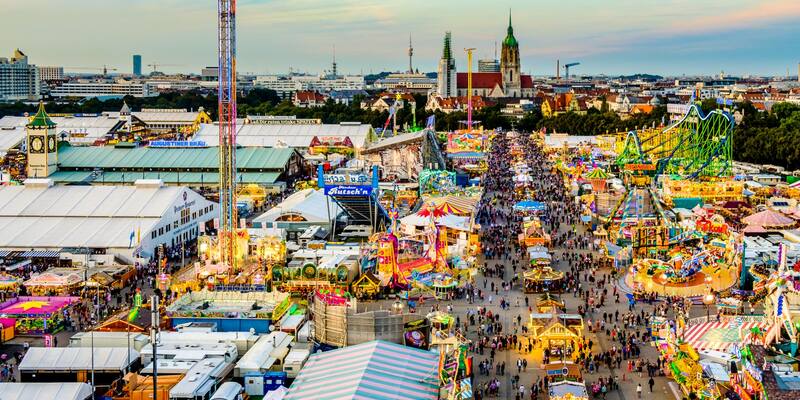 Every year one of the most significant people’s fairs in the world takes place in Munich and is usually attended by more than six million people. 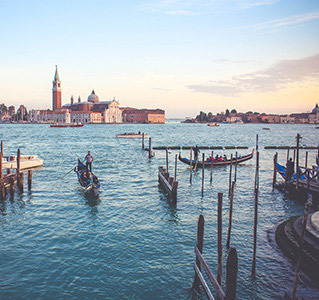 Once a small regional event, that was held to celebrate the wedding of Prince Ludwig of Bavaria and later to promote Bavarian agriculture, it has now turned into one of Europe’s foremost events for tourists from all over the world. For about two weeks Munich turns into the centre of Germany and if you plan to visit the festivities this year, which of course we highly recommend, these couple of tips will help you to make the most out of your stay and maybe even experience the Oktoberfest like the locals do! 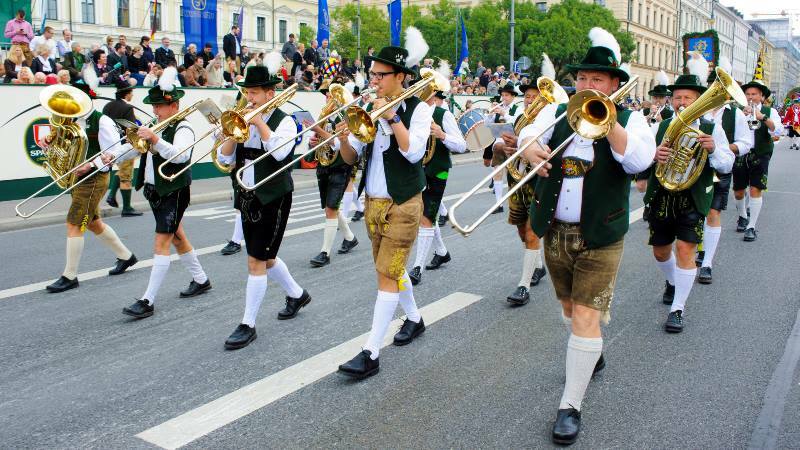 If there is one thing that locals love about the Oktoberfest, it is the highly traditional character of the festival. 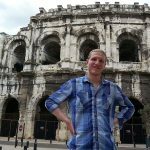 So if you not only want to visit but become a part of the whole thing, it will be handy to keep at least a couple of those traditions in mind. As a man, for instance, you naturally should wear the famous Lederhosen, and as a woman, there is no way to avoid dressing up in a beautiful Dirndl. Keep in mind, however, that wearing the Dirndl’s bow on the left is a sign that you are still single while a bow on the right signals that the woman wearing the Dirndl is married or in a relationship. 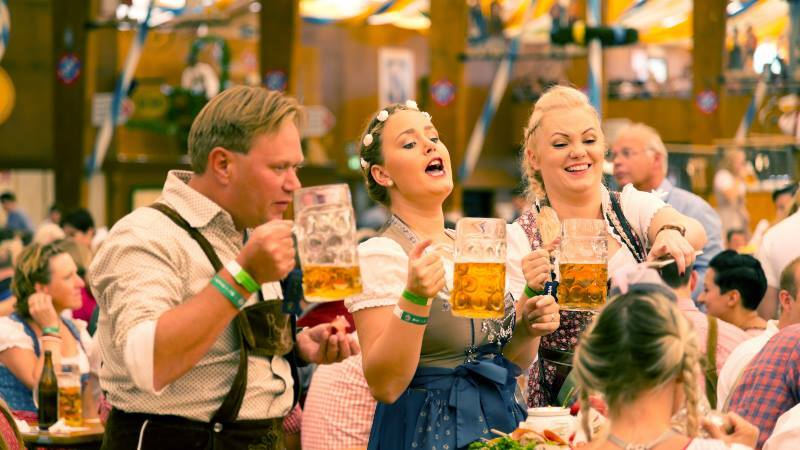 Furthermore, Beer is only served in steins, and while the whole world knows and talks about the Oktoberfest, the locals usually refer to it simply as the Wiesn (pronounced like wee-sen). This is due to the first festival being held on a field called Theresa’s Meadow or, in German, Theresienwiesn. So if you want to feel like a local, call it like a local. At the heart of the annual celebration are of course the famous beer tents. Each Munich brewery has at least one large tent at the Oktoberfest, serving beer which is usually brewed specifically for the occasion. Since so many people visit the festival and the tents each year, we can only advise you to book your table in advance. Especially if you plan to attend the weekend! But don’t just choose any tent. After all, there are particular characteristics to each one. While there are some tents in which traditional brass bands play others offer more contemporary party tunes. Many tents are also famous for specific traditional Bavarian dishes, and there is even a tent dedicated to wine instead of beer! So if you want your expectations met and disappointment avoided, inform yourself beforehand on the tent’s on the Oktoberfest website. In addition to all the sumptuous food, great beer and parties you should not pass on all the excitement at the nearby funfair. 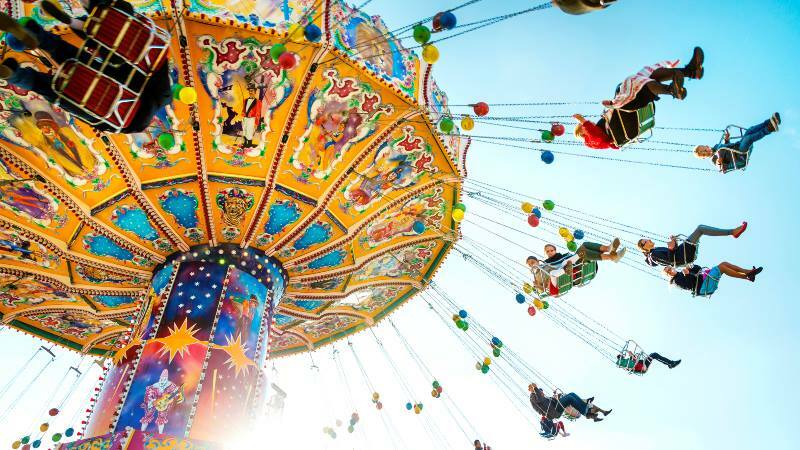 Each year many rides visit Munich with a travelling funfair that is by now an integral part of the Oktoberfest. Take a trip on the giant Ferris wheel and get a fantastic view of the entire city of Munich, be brave and visit the haunted house or take a thrilling ride on the roller coaster. If you cannot make it to Munich in time for the festivities, don’t be too broken-hearted. 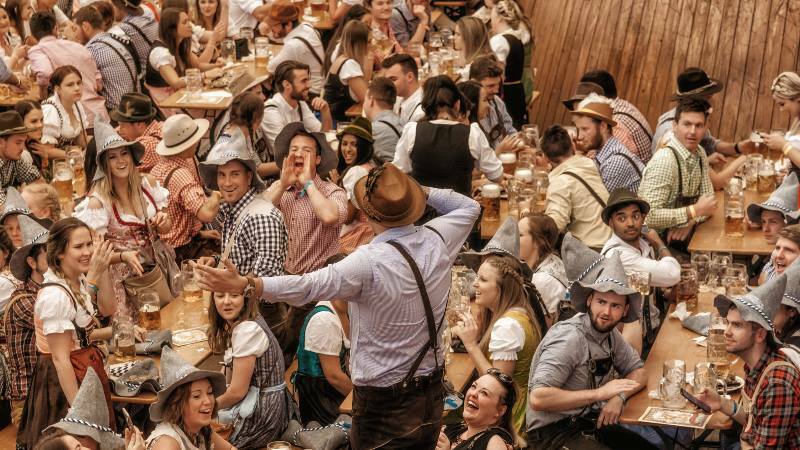 Of course, nothing beats the original, but many big German cities have adopted the custom by now and host an Oktoberfest on their own with certain local touches. 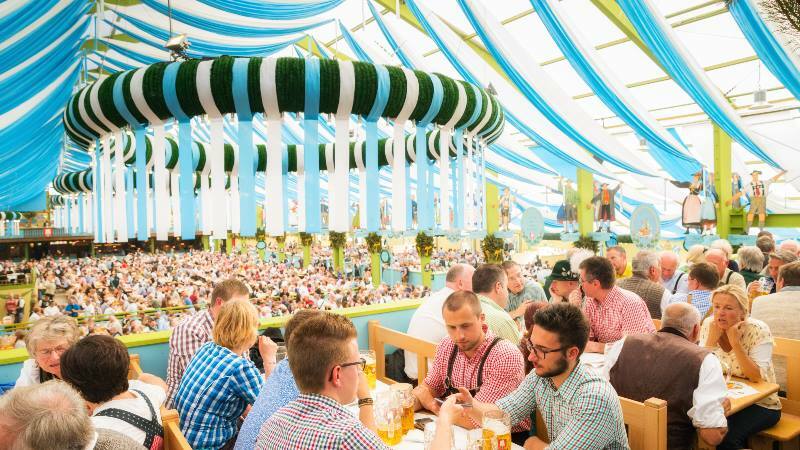 In the Hamburg borough of Wandsbek each year brass bands, Bavarian food and beer are offered at the Wandsbeker Wiesn. 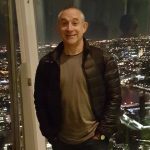 For more than ten years the city of Cologne in western Germany is also hosting its own big Oktoberfest-tent, and there is even a German brewery bringing the Oktoberfest to London! So wherever you are, join in on the fun! You can check out our other guide to the Oktoberfest or if you have any other tips for first-time visitors or have had great experiences at the Oktoberfest you’d like to share? Please don’t hesitate to tell us in the comment section, we always love to hear from you! Great tips! The date always confuses people! I’m heading to Munich this year and glamping at the Stoke Travel campsite. Can’t wait! It’s our pleasure, we hope you have an amazing time. Please let us know how it all goes when you return. Happy Oktoberfesting!